Psychological trauma, physical injuries or death of children in programs are invariably the result of trauma, abuse, negligence and/or accidents. The following is a checklist of factors that are necessary to insure that a wilderness program is safe. The risk decreases as more of the following are present. The program is licensed or regulated by a state agency that is empowered to monitor, inspect and investigate complaints. Staff who are responsible for the health and well-being of children are screened, trained or certified as competent to provide services within the standards of practice of related intervention programs. The program's therapeutic activities were developed by or approved by a licensed psychologist who is qualified in behavioral health and safety. The safety and well-being of your child is the direct responsibility of a qualified and licensed medical or mental health professional. The following is list of risk factors. The risk of harm increases with each factor that is present. The program does not tell you the names of the people who own the program or who has responsibility for the activities within the program. Discipline in the program is based on punishment that includes depravation, verbal threats and aggression, physical restraint and corporal punishment. There are no licensed mental health professionals directly involved and in frequent contact with children. The owners and individuals responsible for program decisions are not the people who are responsible for the safety and well-being of children. Screening and admission of children in the program is not supervised and the direct responsibility of a licensed and qualified mental health professional. The total cost to operate the program is less than $300 per day. The program admits children on medications for psychiatric conditions without a screening and treatment plan provided by a qualified mental health professional. The program uses physical force and restraint for behavior that is not an immediate danger to self or others. 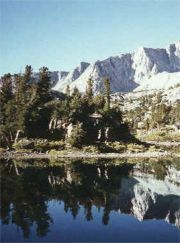 For a more detailed description and discussion see, "Finding Safe and Effective Wilderness Therapy Treatment Programs."